Birmingham: second most populous city in the UK, home to the infamous Peaky Blinders and host to the British Ecological Society annual meeting in December 2018. The BES is the biggest conference dedicated to ecology in Europe, with over 1200 delegates from 40 countries. Over the course of three days there were 4 plenary seminars, 200 posters, workshops, social mixers and over 550 oral presentations in 12 parallel sessions. I was equally excited and apprehensive to attend such a big event when the largest conference I had been to before was the EEID (Ecology and Evolution of Infectious Diseases) with “just” 400 delegates. My first impression of Birmingham wasn’t the best one, and I will blame it on the pouring rain and some initial unfriendly encounters, but I had a good feeling about BES. It started on a sunny Monday within the ICC (International Conference Centre), near the canals, in a way I wasn’t expecting. Our first plenary speaker, Samuel Ohu Gon from the Nature Conservancy of Hawai’i, was to give us a talk on the Hawaiian islands as a model for biocultural conversation. He appeared on stage wearing traditional Hawaiian clothes and started with a welcome ceremonial chant. It was followed by an inspiring talk on the remarkable habitat diversity of the Hawaiian archipelago and how Oceanian societies developed a social ecological system, restricting sacred higher elevation ecosystems and limiting resource use, which all resulted in only a small human footprint on the landscape. One sentence he used to convey really well the relationship between indigenous inhabitants and nature: “nature is the chief, the people mere servants”. Over the years, this system was supplanted by land use practices developed in continental settings, accelerating habitat degradation. He concluded his talk showing us how conservationists in Hawai’i are trying to integrate ancient values with current conservation to protect the archipelago and try to reduce the human footprint on this critically endangered ecosystem. After this fantastic beginning, the oral parallel sessions started and I witnessed two strategies emerging: some people had pinpointed various talks they wanted to see in different sessions and were running through the maze that was the ICC, trying not to miss any, whereas others chose one session to follow in its entirety. I decided on the latter and I attended 4 sessions over the next 2 days. I also decided to use this opportunity to learn about topics I am not familiar with and really enjoyed discovering research on evolutionary ecology, species interactions and conservation policies. Some talks were fascinating and accessible while others used a lot of jargon I couldn’t understand, but all of them were based on solid science and a will to do great research. I was presenting my work in the Parasite and Wildlife Pathogen session and talks that afternoon were very interesting. One PhD student talked about her work showing how an invasive fish can benefit a native species through the dilution effect, while another researcher used his research on fungi and leaf cutter ants to demonstrate, using the tool of sarcasm, why we shouldn’t blindly trust everything we read in papers. Each block of talks was 2 hours long and separated by a well-deserved lunch break where you could witness hundreds of ecologists turning into predators, trying to scavenge as many finger sandwiches and cheesecake as possible before they vanished. Many people used this lunch break to roam around posters, catch up with colleagues, participate in one of the many workshops offered and network with fellow ecologists. In the evenings, some refreshments (and I won’t comment on the wine quality) were served in the main hall to allow more networking and poster sessions. The first evening also had some special interest group mixers so that people could meet researchers with similar interests in a more intimate and informal setting, while the dinner gala was scheduled on the second evening. Even though there were over 1000 delegates, it didn’t feel overwhelming and everyone was friendly and keen on discussing science informally. 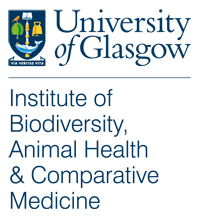 I was also very impressed to see several undergraduate students from Glasgow University’s Institute of Biodiversity, Animal Health and Comparative Medicine, knowing they probably didn’t have funding to support their journey. All three of them attended sessions, writing down names, and networked with researchers for future opportunities. The conference drew to an end on Wednesday afternoon after three intensive days, leaving me brain dead, but with some new knowledge and connections in the world of ecology.